Merry Christmas from the JR! Want to see how we celebrated out here in the middle of the Pacific? Watch my latest video diary to see the singing, eating, and general merry-making! 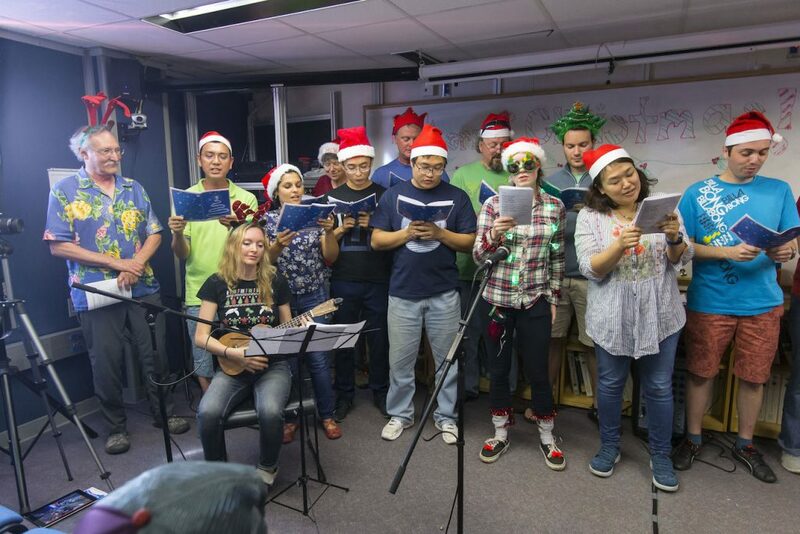 With no cores on deck, everyone had extra time to get in the festive spirit–or at least eat some extra candy. ChristmasEXP366Expedition 366mariana trenchserpentiniteVideo Diary 5: Christmas festivities on the JR!